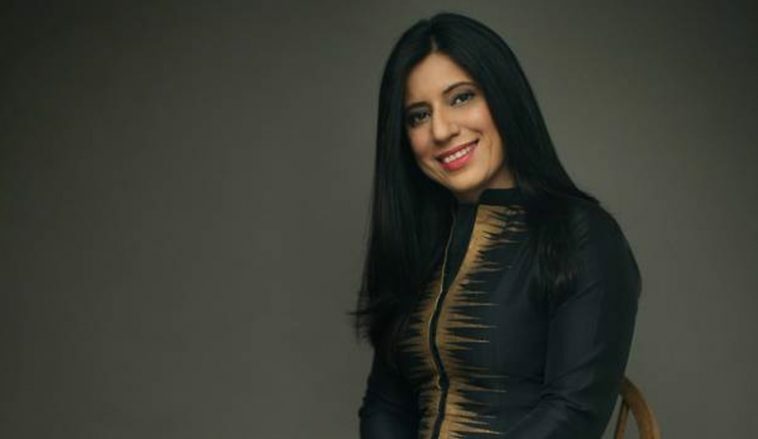 World over, despite the influx of women into the workforce and recent trends for women empowerment, somehow the realm of showbiz generally has seen relatively few powerful women helming the affairs of media organizations. This is true for Pakistan too. This list gets even slimmer for women in showbiz who are multi-talented, super successful, humble and young at the same time. We feel honored in Pakistan to have in our industry one such woman with all these credentials , a role model for not just women generally but also women in the media industry. Very few would have a second opinion about the lady we had an honor to have a tête a tete with. The woman in question is none other than Momina Duraid, owner of Momina Duraid Productions, daughter in law of Sultana Siddiqui of HUM network. She is the force behind innumerable successful television productions and in recent years has also successfully branched into film-making. Momina is currently heading to release her much anticipated film “Parwaz Ha Junoon” and there couldn’t have been a more appropriate time to talk to the “behind the lense diva” about this. 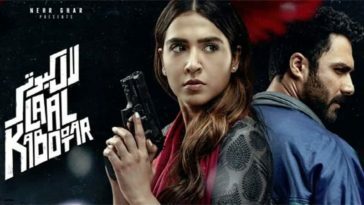 The excerpts from her interview with Azadar Kazmi of Pakistanicinema.net are shared with you guys here. Momina “Bin Roye” was a huge hit, it grossed more on international front than in Pakistan and was complete family entertainer,the music was chart buster too. considering the success of your debut production do you feel any pressure for “Parwaz hay Junoon”? 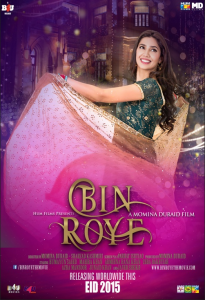 In “Bin Roye” you must have had your experiences and must have learned quite a lot of things considering it was your maiden project can you tell us the lessons from Bin Roye that you’re utilizing here in PHJ? Bin Roye was based on a Novel, a longer script and hence with consequent screenplay issues. We had to chop off the film to an appropriate screen time for theatres that created certain inevitable jumps and loop holes. This time we were focused on the screenplay flow and timeline. The experience of color grading, film’s palette and it’s extension that we learnt from Bin Roye helped us improve this one. Talking about the Cast, how did you come up with the idea of casting Ahad Raza Mir?As no one had seen his work in industry when u signed him. Actually, I have an old association with Ahad from his childhood. Ahad’s Mom is a childhood friend of my husband, so we are like family for the very start. I saw him grow up from a child and very few know that he was casted as a child star in one of our play called “Khamoshi” where he played one of the kids of Vaneeza and Faisal Rehman. He was 14-15 years of age i think and I knew there was spark in Ahad when I saw his scenes at the edit table. So I asked his Mom Samra that whenever he is done with theatre music and dance study in Canada I would be launching him. So you saying that Ahad is Momina Duraid’s find? Unmm… I cant say that, it would be a huge claim. See his father has his own production house but he got launched by your projects, so I think you deserve the credit. I feel this is an honor bestowed on me by Ahad’s parents who trust me and are so nice to us. I had this plan in my mind to launch him in a play like “Yakeen ka safar” and then cast him subsequently in PHJ. And alhamdullilah the plan worked. There is another observation I made about the cast of your both films. Its a 180° degree turn from Bin Roye. From lead cast to supporting cast you have casted different actors altogether. Why did you do that despite the fact that people want to work with actors with whom they share a good comfort level? Was it intentional or it just happened? Whenever we develop the script and by the time it is finalized, it itself dictates you the actors that would fit the characters. I always have felt for the character and sought for actors who fit like glove. For example, with PHJ we needed actors who look like cadets, are fresh and believable. Haniya and Ahad both look young and fresh. When you announced PHJ release on Eid ul azha after pushing it from Eid ul Fitr, reaction from the fraternity was kind of unpleasant. How do you justify your film’s release on this particular occasion infront of two biggest films of the year which were already announced? It’s very unfortunate that you can’t make everyone happy. Hopefully this changes but when I announced my own film if you look back it was originally announced on last Eid ul Azha and we were the first to announce our film followed by Humayun’s and Fizza’s films respectively (PNJ and NMA2). At that time Humayun and Fizza both were perfectly OK with their films being announced. 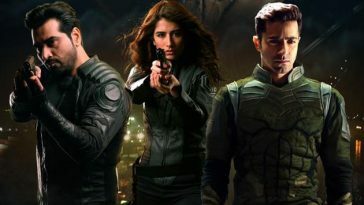 Since our film is an air force film, the main reason for the release date was its coinciding with air force week which is the first week of September. 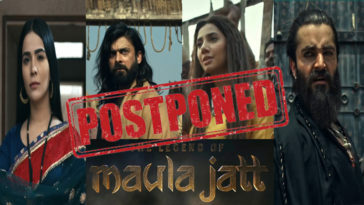 But later because of some technical delays like CGI and Hania being cast in NMA 2, with her date issues we delayed the film to Eid ul Fitr 2018 where only three films including Azadi, PHJ and 7DMI were slated for release and everyone was perfectly fine with that. But again, confusion ensued when Wajood, and Shor Sharaba was announced. I had to come forward and delay my film when 6th Pakistani film was announced. 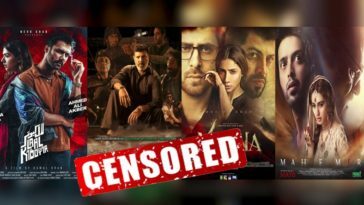 The decision to limit Bollywood films on Eid weekend was also not sure and Eid week was closely followed by big projects like Race 3 and Sanju,which would have left limited space for all the films to perform. I had a pressure of Air force authorities to release the film on time and had to negotiate extensively to convince them to change the date. How I managed that, only I know. 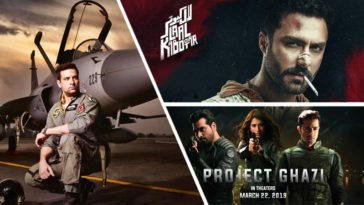 And after Eid ul Azha there is no major Hollywood, Bollywood or even Pakistani film in next two months so i think all the three films will get enough time to earn to their potential. With this I don’t understand the brouhaha surrounding the release of three films. 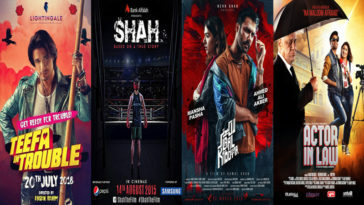 And its not the first time for three simultaneous releases, we saw Janan, AIL and ZKHH in 2016 and all of them worked well. Yeah, I think it’s natural for the fraternity to complain about the number of films releasing simultaneously but I am a bit disappointed at how the fraternity looks at this. When it’s our film they complain when it’s their film they don’t. We talked about business, but there is artistic and creative side of yours too which was displayed via penning lyrics for OST and the script of “Ishq Junoon Dewangi” a huge hit itself. Where has that poetess and writer Momina gone? Are we seeing that side of yours anytime soon? My passion for writing gets satisfied by editing and amending what comes my way. In my head I also feel I am more of an editor than a writer. I enjoy correcting things and reshaping it. Writing consumes a lot of time and I would like to concentrate on supervision and production. And what about director Momina, as u also did direction for BR? Again, I would like to concentrate on production because as a director I would have to look at the details and nitty gritty of a project and that way I can’t do multiple projects at the same time and do justice to them. Bin Roye did massive business in overseas but what’s the target audience for PHJ ? 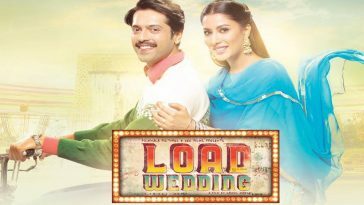 Is it Pakistani audience at domestic market or International audience? There are certain films with trailers which don’t necessarily represent those films. 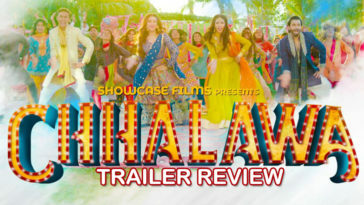 PHJ is a film which is exactly represented by its trailer. Not story wise, as their are questions left like who’s dying, who’s serving, what’s the combat scene, who’s getting who etc. That overall feel is communicated by the trailer and it caters to international and national audience both males and females. Not just young females, I saw an elderly lady on wheelchair who came with her great grandchildren to see Bin Roye. 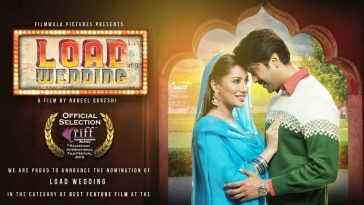 See the purpose of making Bin Roye was largely achieved, that was to show our festivals, our colors and show the world how festive and lively we people are as a nation and to bring female audience to the cinemas. In which I feel i was successful. Both of your films took huge time to come, BR took two and half while PHJ is coming after a gap of three years. Is the next going to be in 2021 or should we expect more frequent films from you from now on? No next we are going to produce simultaneously, one is “Superstar” while other is “Patakh dey” and both are expected to release in 2019. 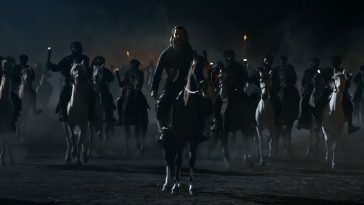 The reason PHJ took so long is that extensive research was involved, and then the principal photography took one and a half year because the film was to be shot over various seasons with its extensive palette that’s why it took long. You are considered to have a pivotal role in making superstars out of Fawad and Mahira Khan. Everyone wants to see them together onscreen. Anyone would want to cash their onscreen chemistry; don’t you have any plans to get them together onscreen? Fawad and Mahira’s chemistry is something ethereal to me and I won’t want to do something for the sake of just bringing them together. If I want to cast them i would be casting them in something that’s really substantial not anything paper thin or superficial. I don’t want to spoil the chemistry which they have, and the way people adore them when they are together. 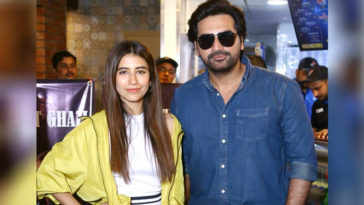 We had plans to cast both of them in Bin Roye, but things couldn’t work because Fawad was offered Khubsurat in India, we waited for him but then again he got busy with other projects and we had to go sans Fawad.I am still looking something that clicks me and I feel it’s bigger than Humsafar as far as their chemistry is concerned. Both Bin Roye and PHJ are festival releases. Do you plan to release your next films on non-holiday weekends considering Teefa in trouble and Sanju did wonders on BO despite releasing on a non-holiday weekend? Personally, I feel Sanju and Teefa’s case isn’t something out of the box we have had films earlier which worked well despite not being big, like Karachi se Lahore which worked beyond its potential and touch 10 cr when released between the two Eids. But Teefa was a big investment, other Non-Eid releases weren’t that big in terms of budget. 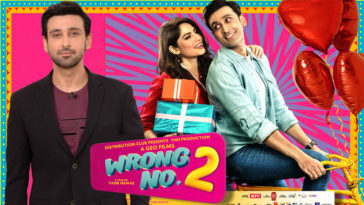 Obviously, I agree, its been very intelligent of Ali Zafar who did his market research properly and must have looked at the numbers of “Between the two Eids Releases” which are never bad. Sanju had had its run for about a month already and then there was nothing substantial except Teefa till Eid despite being a holiday season. People enjoy indoor activities in summers with their kids not going to schools, so they would naturally head to cinema and these summer months would always get more release slots. 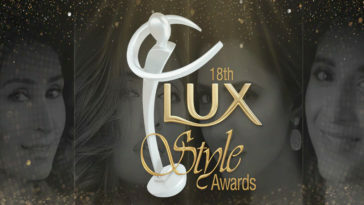 Infact there is another slot for Local films that’s just before Ramadan which i believe can prove very good. Yeah, just like Saba Qamar’s “Hindi medium” and “Humpty sharma ki dulhanaya” both did decently well by releasing pre Ramadan. Exactly, that’s what I thought, these slots should be considered. 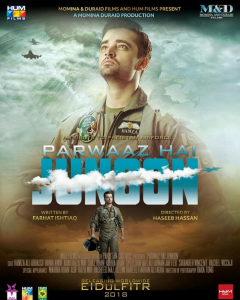 With PHJ we wanted to be as close to Air force week as possible, but I don’t have any hard and fast rule to release my films only on Eid holidays. 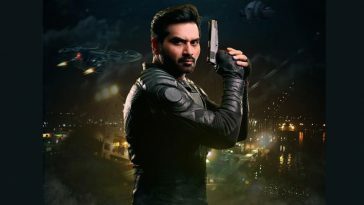 Of the films we are releasing in 2019, one of them would be a Non Eid release with a big possibility. What we could take away from the candid talk with Momina Duraid is that, she has undoubtedly proven herself as a woman of substance and is not just an inspiration as an artist but also trailblazing the path successfully, always looking for new avenues for her entrepreneurial skills. With PHJ and so many more projects she has in store for us this young lady is on her way to be among the cinema industry’s most sought after and successful moguls. 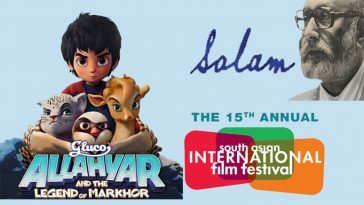 Our team at Pakistanicinema.net wishes her all the luck for her future success. Read this space to get updates on Pakistani cinema and more exclusive interviews.